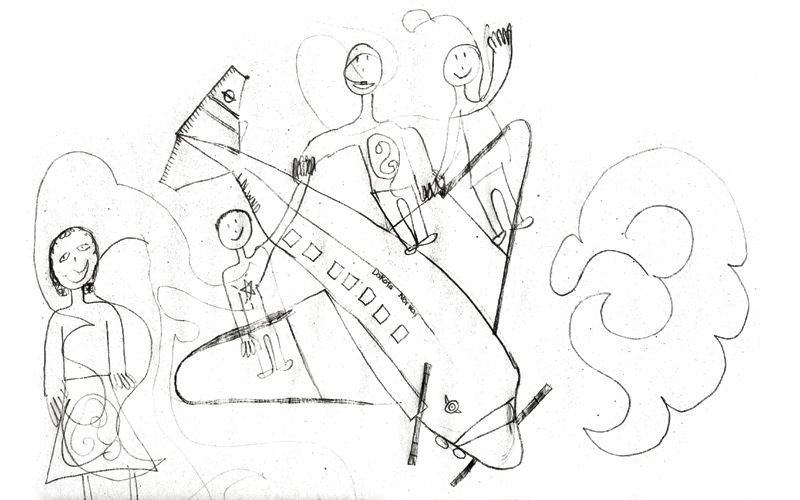 "I Want to Fly for MFI"
Drawing submitted by 9-year-old Dahelson Sleasman. Missionary Flights International (MFI) is made up of missionary pilots, mechanics, and volunteers that seek to serve missionaries traveling between the United States and the Caribbean Basin (namely Haiti, the Dominican Republic, and the Bahamas). Our mantra is that we are “standing in the gap” and we are proud to be part of something larger than our turbine DC-3. Throughout the year, we hear stories that pass through our hallway, sit in the waiting room, walk across the floor of the hangar, board our DC-3, and take off toward their mission destination. If you have been on one of these flights, you know the emotions of those first-time missionaries as they fly over the Caribbean, the mountains of Haiti, and the Dominican Republic. You may have figured out the best location to sit on the plane to be either warm or cold while we are at our cruising altitude of 12,000 feet. You’ve experienced the peace as our pilots ask everyone in the plane to join them in prayer before the flight. You’ve likely experienced the beautiful web of God’s story as you learn that your story is much different than the story of the one sitting near you. 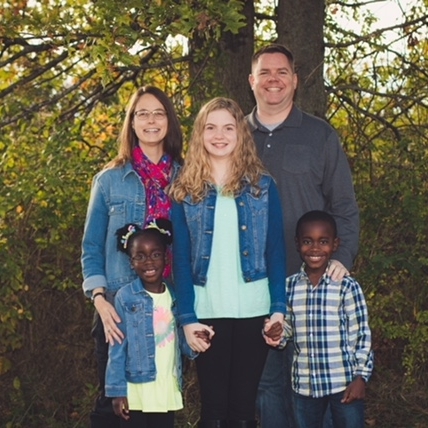 “In early 2013, when we first embarked on our international adoption journey, we had no idea that Missionary Flights International (MFI) would become an ongoing part of our family’s life and conversation. We discovered MFI in the midst of adopting our two youngest children from the Cap Haitien, Haiti, area. Several of the North American missionaries and missionary families that we now consider “friends” depend upon MFI for supplies and maintaining connections with their own friends and families. At that time, we were living in Erie, PA, and were attending a church that supported many missionaries who served with OMS in northern Haiti. Through some divine intervention, we were able to connect with to Children of the Promise where our youngest two children, Dahelson and Ellie, were living at the time. In the fall of 2015, we were able to experience the benefits of MFI for ourselves. Our family spent the first few weeks at Emmaus Biblical Seminary, near Cap Haitien, Haiti, as part of a job transition to Findlay, OH, where I now serve as President of Winebrenner Theological Seminary. While in Haiti, we were waiting for a replacement cable for my laptop and, of more interest to our family, a special order of cheese that we placed with the food order of the other missionary families. We often take for granted the ability to stop at a local retail store to purchase an electronic item or buy food. It was a mix of joy and relief to receive these items from MFI; and we were only in Haiti for five weeks! We could see firsthand how much the long-term missionaries depend upon the ministry of MFI and have a much greater appreciation for the role the pilots play in international missions. Over five years have passed since we first encountered MFI. I was just reminded earlier the other day about how much MFI has become a part of our family’s life and conversation. As Dahelson, who will soon be 10, was preparing for “Career Day” as part of his school’s “Spirit Week,” he informed us that he wants to dress like a pilot. I asked him “Why?” He told us, “I want to fly for MFI.” In August he submitted a drawing for the MFI t-shirt design contest and was excited to participate. Whether you are a missionary, volunteer, or a donor, you’ve had an impact on lives like Dahelson and his family. On a weekly basis, we have at least one family or group that stops by the MFI hangar and we watch the eyes of the little ones sparkle. Who knows what the Lord has in store for them, but we know that we will do our part to instill just a sense of wonder into being on mission for Jesus.